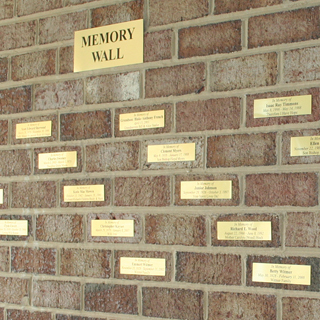 A Memory Wall has been created to honor our loved ones who have died. A selected location has been chosen within the church to showcase this loving memorial. Special lighting will enhance the wall. Plaques (2 3/4″ x 6″) can be purchased for $25. They are gold with black laser printed lettering. The Wall, inspired by The Sunshine Ladies, is a timeless memorial to remember our loved ones. Due to limited space this will be for the Greencastle Church of God members and attendees for their immediate members that includes and is limited to: spouse, parents, grandparents, children, grandchildren. To place your order, see Paula Heinbaugh or Aimee Robinson. Proceeds will go towards the expense of equipping a new kitchen at the Greencastle Church of God.